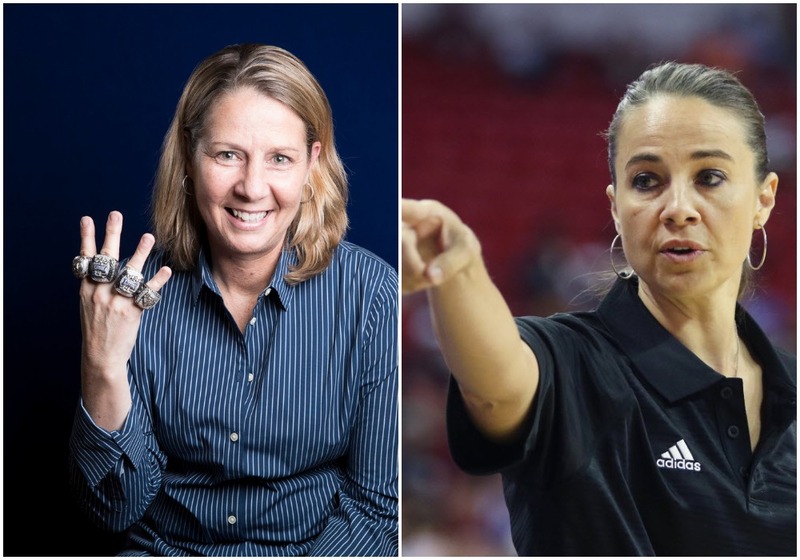 Though Becky Hammon did not get hired by Milwaukee, she interviewed for the Bucks head coaching job, a move Lynx coach Cheryl Reeve called "progress." Spurs assistant coach Becky Hammon reportedly interviewed for the Milwaukee Bucks’ head coaching vacancy. She didn’t get the job this week — former Hawks coach Mike Budenholzer reportedly did — but she did advance the dialogue about women coaching in the NBA. Maybe that’s good enough — for now. It’s a next step, at least, said Lynx coach Cheryl Reeve. Reeve, by the way, also belongs in the discussion when it comes to coaches qualified to get a head coach job in the NBA. But more on that in a moment. Hammon, a former WNBA star, was hired by Gregg Popovich as a Spurs assistant in 2014 — becoming the first woman to be a full-time NBA assistant coach. Four years later, she had a foot in the door as a head coach candidate. As I considered the Hammon situation, another notion struck me. Outside of the sexist arguments to make about why a woman shouldn’t be an NBA head coach — arguments destroyed by the Spurs’ Pau Gasol in a very good recent The Players Tribune piece — is there a layer of sexism in saying Hammon needs to aspire to coach a men’s team instead of a women’s team? So does Reeve — with four WNBA titles in the last seven seasons with the Lynx and a reputation for being strong with both strategy and chemistry — ever think about coaching in the NBA? Reeve made it clear that she loves her current job and her team. But yes, she does think about it. And she should. She said Hammon’s role in the NBA is part of the reason it feels more possible than it did in the past. Dialogue creates discussion. Opportunities lead to change. Maybe we aren’t far off from seeing the first woman introduced as an NBA head coach. Once the wall comes down, there are bound to be more. Maybe Reeve will be one of them.